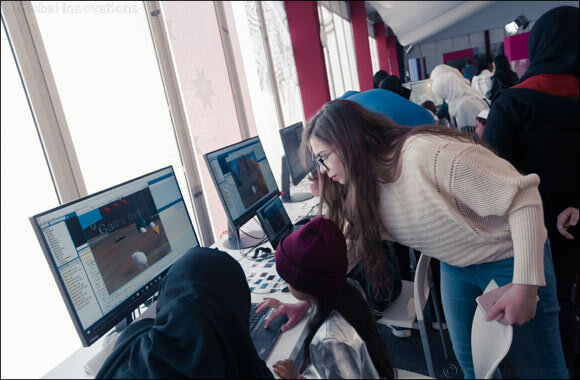 Qatar, December 15, 2018: Carnegie Mellon University in Qatar (CMU-Q) is showcasing its Alice Middle East software at Darb Al Saai as part of the 2018 Qatar National Day festivities. CMU-Q is part of Qatar Foundation’s tent, which celebrates the theme, ‘together for our homeland’ to promote Qatari culture, support the preservation of its rich traditions, and bring the community together. Alice Middle East is an educational platform that helps children learn the basics of computer programming, and is supported by the Hamad bin Jassim Center for K-12 Computer Science Education that promotes learning in the basic computational thinking skills. Alice Middle East was originally developed at Carnegie Mellon’s main campus in Pittsburgh, USA, and was later adapted at the Qatar campus for Middle East school children through funding from the Qatar National Research Fund (QNRF). Alice Middle East is now taught in the 11th-grade in all Ministry of Education and Higher Education government schools that offer information communication technology. In addition to computer science, CMU-Q offers undergraduate degree programs in biological sciences, business administration, computational biology and information systems.